Securing the network systems has become a challenge for the firms. Every now and then hackers are devising new plans that are dangerous than ever and firms find it difficult to cope with them. System data of firms are more vulnerable to attacks than before. It should identify and eliminate the risk. If not mitigate it. It should have the adaptability to control and designate the business sphere. Can display its ability in the testing situation. 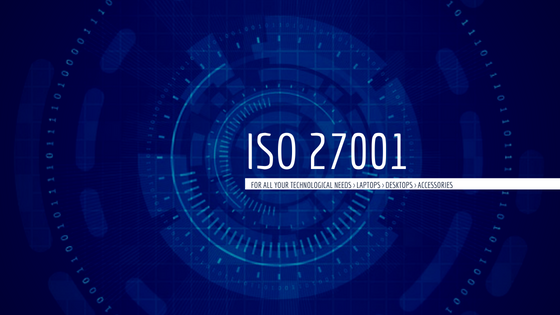 As a firm which needs to secure information, ISO 27001 Dubai is the solution as it offers a framework that is logical in nature and has the ability to adopt good governance while securing data. It’s clear that that the data safety lessens the risks involved as well. The service helps in fully understanding the procedure of compliance and helps in developing a mechanism. The firm will be aware of all the risks and identify every risk while developing an elaborative mechanism. This service has the ability to offer such solutions that are needed instantly. This latest and vigilant protocol has the ability to leverage the network and also holds the data safe and secure. The environment is ever changing and there should be such a tool that keeps up the tempo. Another advantage provided by this service helps to let know the sphere of danger and helps to develop specific solutions that cater perfectly to only that particular problem or risk that has been faced by the firm. Another advantage of this certificate is its independent evaluation. A third party assessment shows whether formal or informal ways become safety risks or not. An assessment of various fields of information security Dubai helps in identifying previous problems that went unnoticed. Although it doesn’t imply that this particular service is going to remove all threats and dangers but actually is done that it enables the awareness or the ever-varying threat environment and how to be more compatible to fight against these security threats in a systematic way. All the safety threats are prioritized. A framework is provided that makes sure all the contractual, commercial and other legal responsibilities are fulfilled.